You are at:Home»Herbs»Melissa parviflora Benth. Latin name : Melissa parviflora Benth. Description : The Muslim herbalist Avicenna recommended it for heart problems. Its main action is as a tranquillizer. It is a soothing and calming agent for stressed nerves. 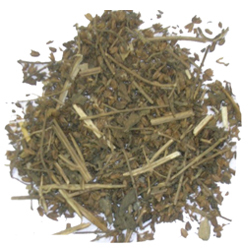 The herb is a common constituent of relaxants, nervine and sleeping aids throughout the world. It is primarily indicated where there is dyspepsia associated with anxiety or depression. It relieves tension and stress reactions, is widely valued for its calming properties and has a tonic effect on the heart and circulatory system causing mild vasodilation of peripheral vessels, thus lowering blood pressure. It may also be used in migraine associated with tension, neuralgia, anxiety-induced palpitation and insomnia. Useful in liver diseases, halitosis and weakness of eyesight. Also used as a spermatogenic tonic. The plant also appears to have an effect on the thyroid gland and has been used to treat hyperthyroidism. Also useful in sinusitis. Experimental laboratory studies also suggest that arabian balm has antioxidant and anti-HIV properties, but further studies are needed to confirm these findings. Recommended Dosage : 5 to 7 g of dried leaves. Contraindication : This herb is not recommended during pregnancy or lactation.